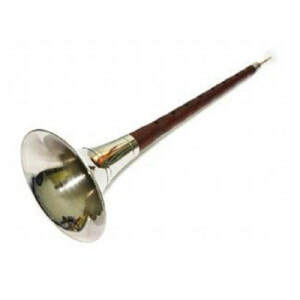 Suona 嗩吶 or Chinese oboe is sometimes also called a trumpet because of its distinctively loud and high-pitched sound. Owing to its large volume and strident, penetrating tone quality, the suona is most appropriate for the ardent and lively style, especially for the imitation of the singing of hundreds of birds. Experienced players can control their breath with double lips to produce the characteristic soft tone for plaintive or sentimental effect. It had been used for festival and military purposes and currently is widely used in traditional weddings in the countryside of North China. The instrument is made in several sizes. 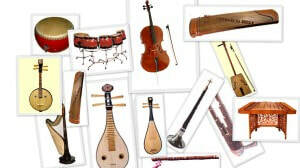 Since the mid-20th century, “modernized” versions of the suona have been developed in China; such instruments have keys similar to those of the European oboe, to allow for the playing of chromatic notes and equal tempered tuning.